Haftar’s Ambitions for a Unified Libya: Prospects for Peace or Recipe for Chaos? Whatever one’s opinion of Field Marshal Khalifa Haftar, the 75-year-old leader of the Libyan National Army (LNA) is without a doubt a major player whose presence or absence will be determinative in the ongoing Libyan conflict. Haftar’s LNA currently controls more than two-thirds of the country. It has consolidated power in eastern Libya, and up until a few weeks ago controlled most of the nation’s oil infrastructure. Haftar’s military dominance became evident in 2017, when his forces seized Benghazi after three years of prolonged fighting. This year, LNA fighters captured large swaths of territory in the east, including, in June, the city of Derna, a strategically significant coastal city between Benghazi and the Egyptian border. 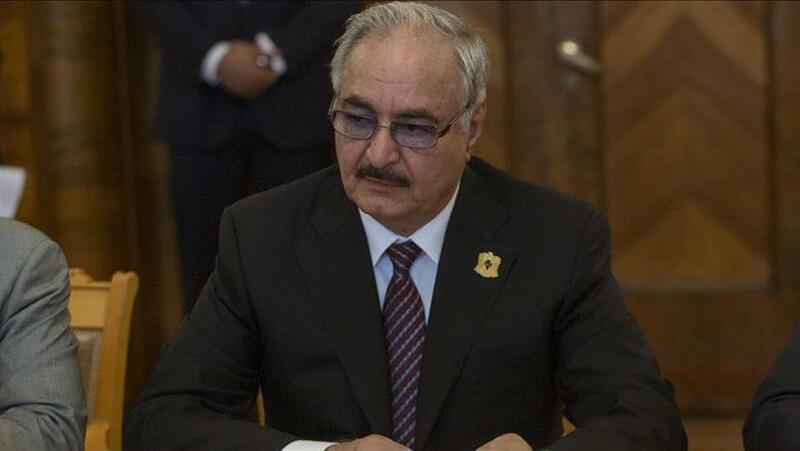 Haftar’s military successes, however, have occurred amidst France’s efforts to convince Libya’s most prominent leaders to agree to elections in December to decide who will rule a unified Libya. On May 29, French President Emmanuel Macron convened a summit in Paris, attended by Haftar; as well as Faiez al-Serraj of the Government of National Accord (GNA); Aghela Saleh, speaker of the House of Representatives (HoR) elected in June 2014; and Khaled Mishri, the recently elected head of the High State Council, a Tripoli-based chamber intended to play an advisory role to the government. There, the four agreed to the elections. Even if the elections do take place as scheduled, however, Haftar’s actions over the last seven years do not suggest that he would step aside easily and cede power if he and his allies were to lose the elections. Rather, they suggest a leader who, if he is able, will continue to oppose the GNA in Tripoli, and who will continue to try to consolidate power throughout the country as he has done in the east. Haftar has become an increasing controversial leader in Libyan politics since 2011. Yet, his prominent political and military role dates back several decades. Haftar joined the military when he enrolled in the Benghazi military academy in 1961. He participated in the 1969 military coup that ousted King Idris and installed Muammar Gaddafi, who would serve as Libya’s long-term dictator for more than four decades. Haftar quickly rose through the ranks in the armed services, receiving a promotion to colonel in 1980. With his new promotion, Gaddafi placed him in charge of forces invading Chad. French-supported Chadian troops later captured him and quashed the then-colonel’s operation in 1987. Gaddafi, however, denied the presence of Libyan troops in Chad, essentially abandoning Haftar to his fate and pushing Haftar to desert the military upon his release in 1990, after which he and a number of other soldiers obtained refugee status to go the U.S. under a settlement brokered by the American Central Intelligence Agency (CIA). Before he left Libya, with backing from the CIA Haftar established the military branch of the National Front for the Salvation of Libya (NFSL), which aimed to remove Gaddafi from power and establish a democratic state in Libya. Haftar then continued his struggle against both the Gaddafi regime and Islamic terrorist groups operating in the region from the U.S., where he resided for some 20 years until 2011 and obtained U.S. citizenship. With the outbreak of the Arab Spring in 2011, Haftar returned to Libya to join the NATO-led revolt that ousted and killed Gaddafi. Without strong leadership following the fall of Gaddafi, Libya quickly descended into civil conflict with rival governments emerging in the east and west of the country. 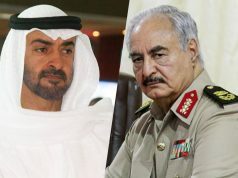 Haftar and his LNA forces allied themselves with the Tobruk-based HoR in the east and openly opposed the Tripoli-based General National Congress (GNC) in the west. In response to his open condemnation of the GNC, Haftar’s popularity with the eastern government grew, and in March 2015, he was made commander of the army. The GNC disbanded in June 2014 when it lost the national elections to the HoR and was soon replaced by the current regime in the west, the U.N.-backed GNA, established in January 2016. Haftar has since refused to recognize the GNA, claiming it to be beholden to militias, and has promised to “liberate” Tripoli from these ruling militias. He has thus been one of the primary obstacles to the implementation of the 2015 Libya Political Agreement, the U.N.-brokered deal aiming to form a unified Libyan government. In particular, Haftar and his supporters have refused to ratify the agreement, objecting to Article 8, and which they view as an effort to replace Haftar as the head of the LNA. The international community is equally divided over which of the rival regimes to back. The U.N. and much of the West supports the GNA, while Egypt, the United Arab Emirates, Saudi Arabia, and Russia endorse Haftar and his allies. Meanwhile, Qatar has supported the GNA and called for the implementation of UN-led 2015 Libya Political agreement signed in Skhirat, in Morocco. The GNA and international critics have labeled Haftar a Gaddafi-esque war criminal, while the LNA stands accused of committing war crimes. According to Just Security Blog and The Guardian, the International Criminal Court issued an arrest warrant for Mahmoud Mustafa Busayf al-Werfalli, a member of the LNA, who is accused of unlawfully executing prisoners and commanding his troops carry out similar killings. Likewise, Amnesty International and Human Rights Watch have condemned the LNA for its suspected war crimes. Given his strong opposition to the both Tripoli-based regimes, his cut throat approach towards opposition groups since his return to Libya in 2011, and his track record of holding a grudge, it seems unlikely that Haftar will give up his hard-earned power in Libya unless he has no other alternative. Many sources speculate that the LNA leader has ambitions to rule a unified Libya. In an interview with the Libyan Observer, Haftar’s former military advisor, Mohamed Buisier, stated that the field marshal strives to increase his power by any means necessary. A former U.S. official reportedly stated that Haftar’s real ambitions are to run Libya as a military dictatorship, according to The Guardian. While it was later determined that Haftar is still alive, his removal from the Libyan political scene would have uncertain effects. 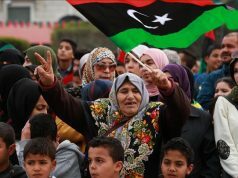 On the one hand, it could be the necessary push for the stalled peace process and the U.N.-brokered Libya Political Agreement. But, on the other, it could lead to internal strife and tribal antagonism within the LNA and a reemergence of militant groups in eastern Libya. 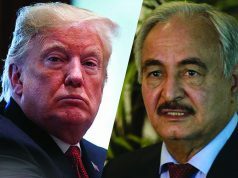 Khalifa Haftar’s absence from center stage would profoundly shift power dynamics within the conflict-ridden nation, as many wait in the wings ready to fill the gap. Divided Libya: Who Can Speak for Peace?